Hey ya’ll! 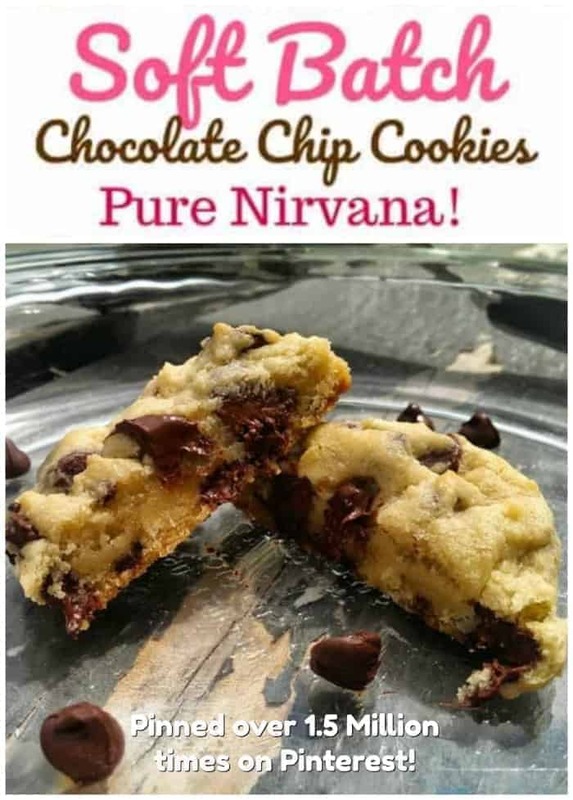 I have another chocolate chip recipe that I want to share with you and this is definitely another favorite, best-loved chocolate chip cookie to add to the blog. 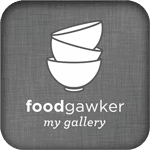 We can never have enough cookie recipes can we?? Nope!! 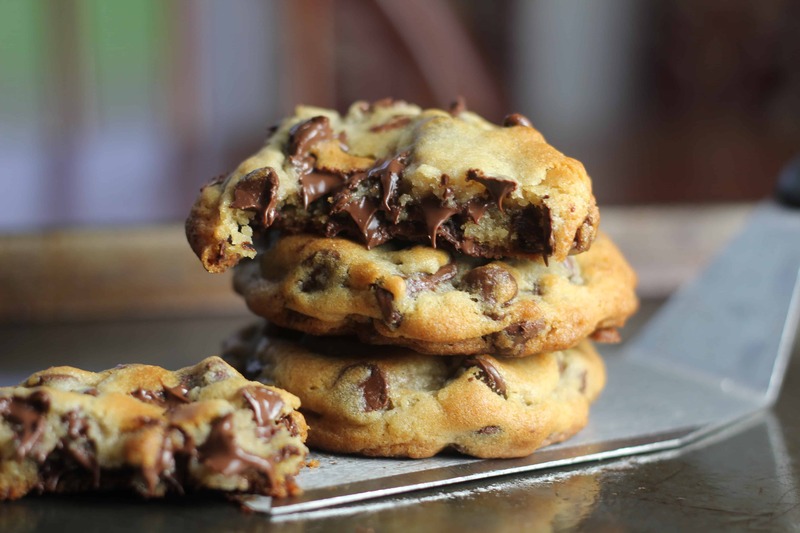 These are seriously, the most sublime, “Perfect Chocolate Chip Cookies“! Look at that gorgeous chocolate!! Are you addicted to these gorgeous beauties? 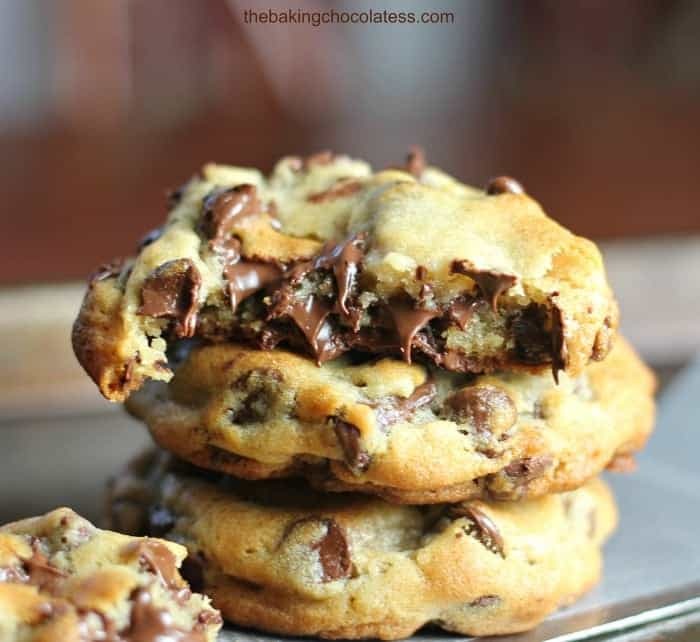 Here are some other chocolate chip cookies you just gotta rock ‘n roll! 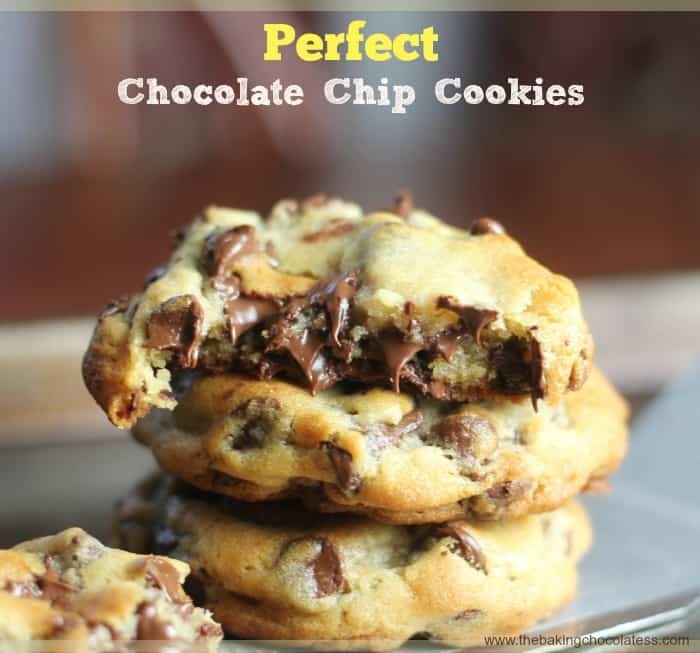 And now…Are you ready for some ‘Perfect Chocolate Chip Cookies’ that taste out of this world? And, secondly to avoid ugly, flat cookies, be sure your butter is room temperature (not melted or even softened), and use a cooler dough vs. warm dough. Just pop it in the refrigerator a bit before baking if it feels warm. For more cookie tips go here. 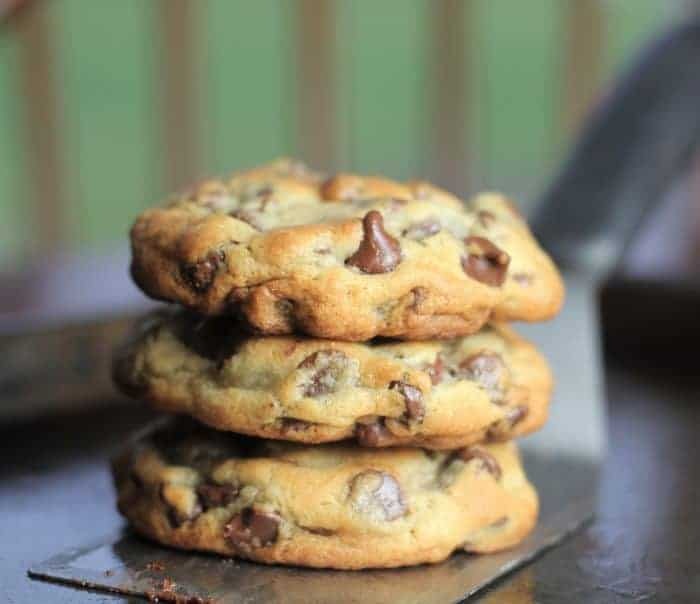 These sweet ‘perfect‘ chocolate chip cookies are completely buttery, chewy, thick and chocked full of rich, semi-sweet chocolate chips. 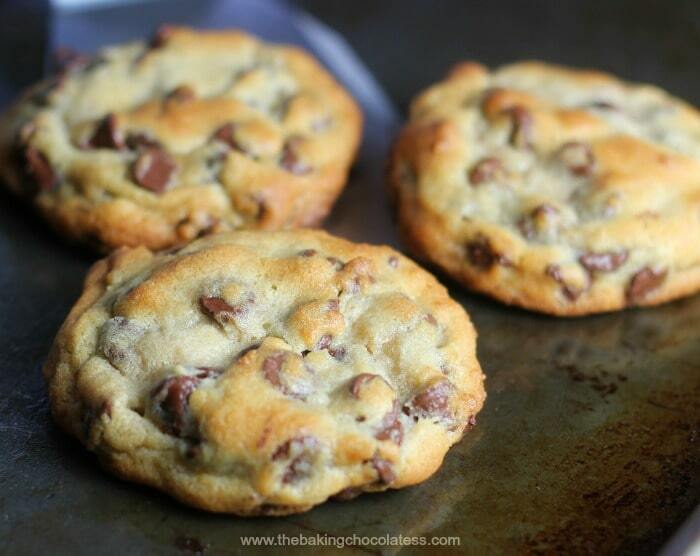 They are a perfect chocolate chip cookie lover’s dream! 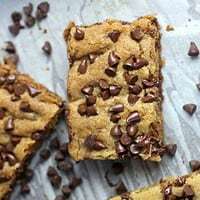 The recipe is simple and it’s probably my all-time favorite chocolate chip recipe of all time. 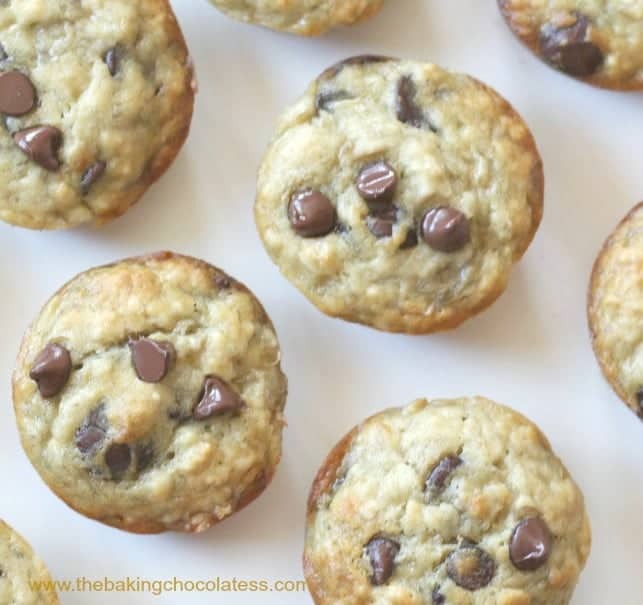 If you try them, you might decide this is your go-to chocolate chip cookie too! Let me know! 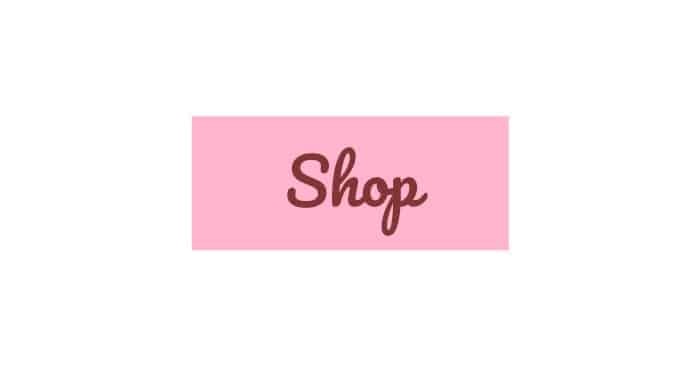 Check them out at Brit+Co for “The 8 Most Popular Recipes on Pinterest RN“ AND Pinterest’s “Nailed it: Top food tries on Pinterest“ too! 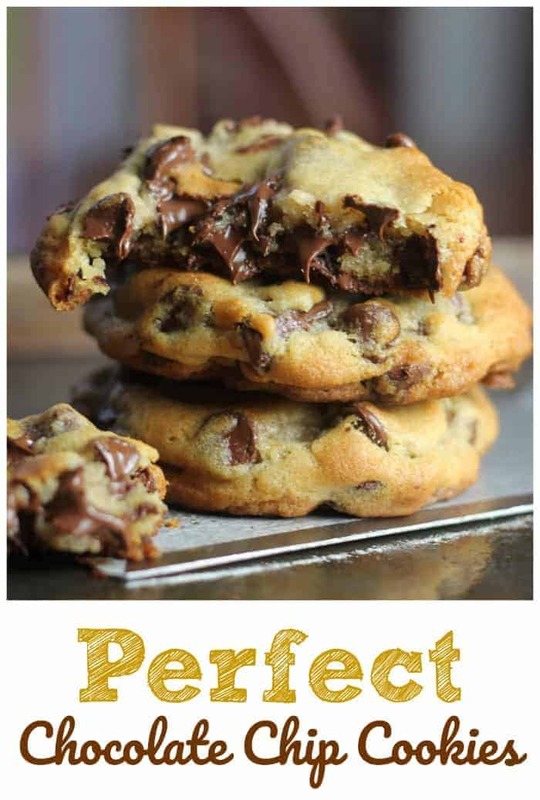 ‘Perfect’ Chocolate Chip Cookies? Anyone? 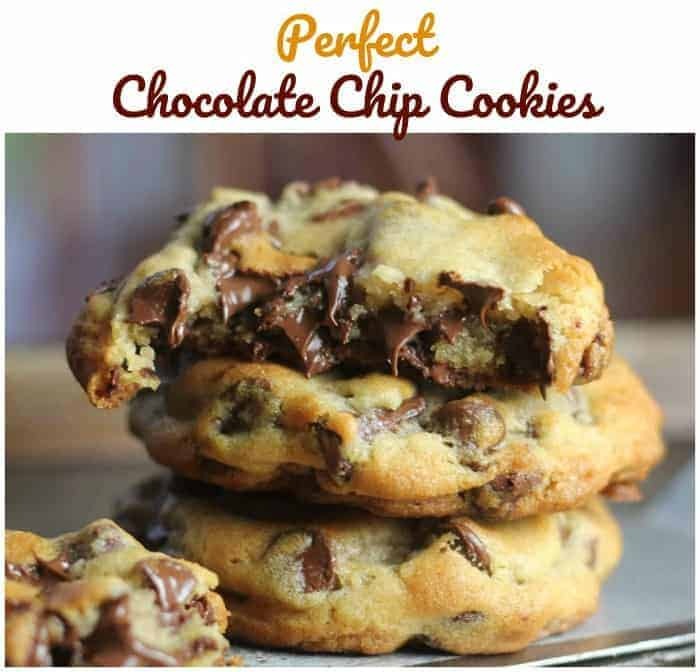 These perfect cookies are buttery, chewy, thick and chocked full of rich, semi-sweet chocolate chips. Absolutely divine! In another large bowl, using an electric mixer at medium speed, beat together the butter, and sugars until smooth and mixed together well. Gradually add the flour mixture and mix in until just incorporated. Do not keep mixing - do not overmix. Let the cookies cool for 5 minutes on the baking sheets, then transfer the cookies to wire racks to cool completely. Makes 18 -30 cookies depending on size. 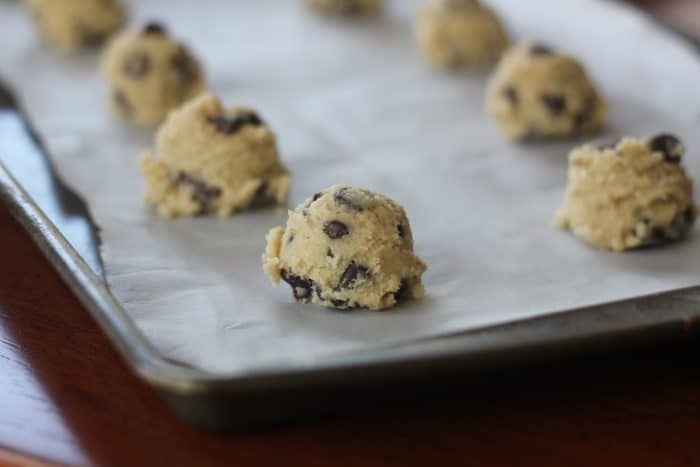 Butter Tips: To avoid flat cookies: Be sure your butter is room temp (not melted or even softened), and try using cold/chilled dough if dough is warm: Just put it in the refrigerator to chill before baking. Flour Tips: Don't over-mix cookie batter especially after the flour is added and add it gradually. Make sure your baking soda is not expired. 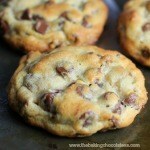 Chocolate Chip Tips: If you're in chocoholic mode, go the full 2 1/4 cups of chocolate chips as the recipe calls out. 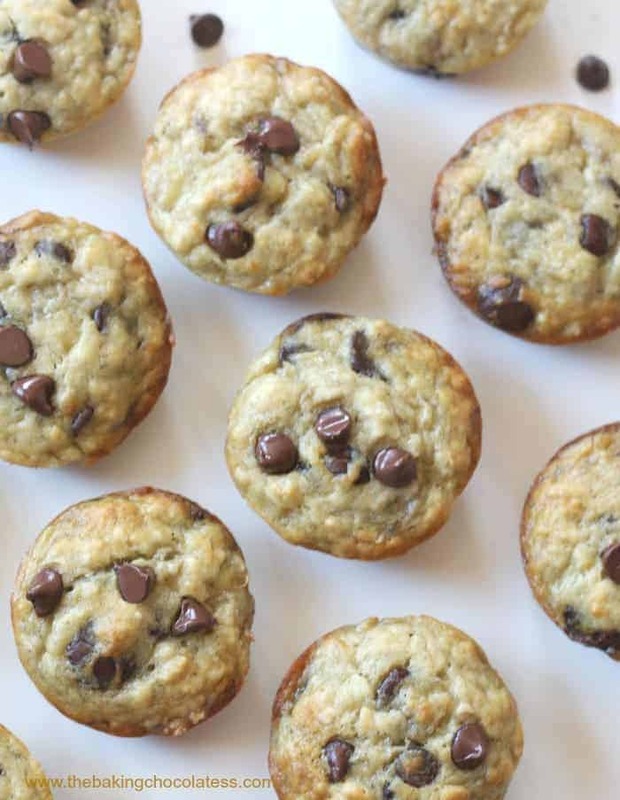 If you want to tone down the chocolate chips, just use a lesser amount to your liking. wow! 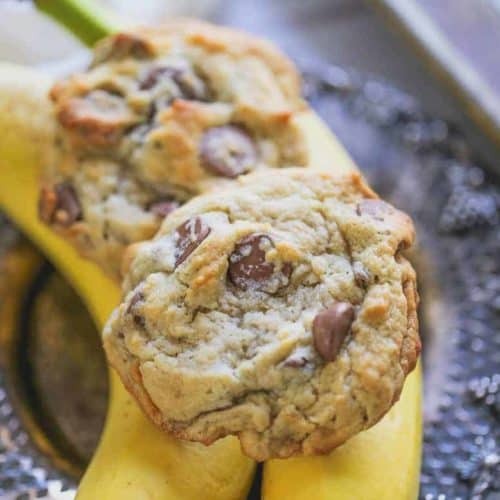 These look amazing, I love cookies and will have to try this recipe! These look amazing… and I need them today! Jennifer, this is hands-down my favorite chocolate chip cookie right now. Of course I’ll keep making more kinds, always because I love trying new recipes and tweaking! Thanks for stopping by, I hope you make them! 🙂 Happy Friday! 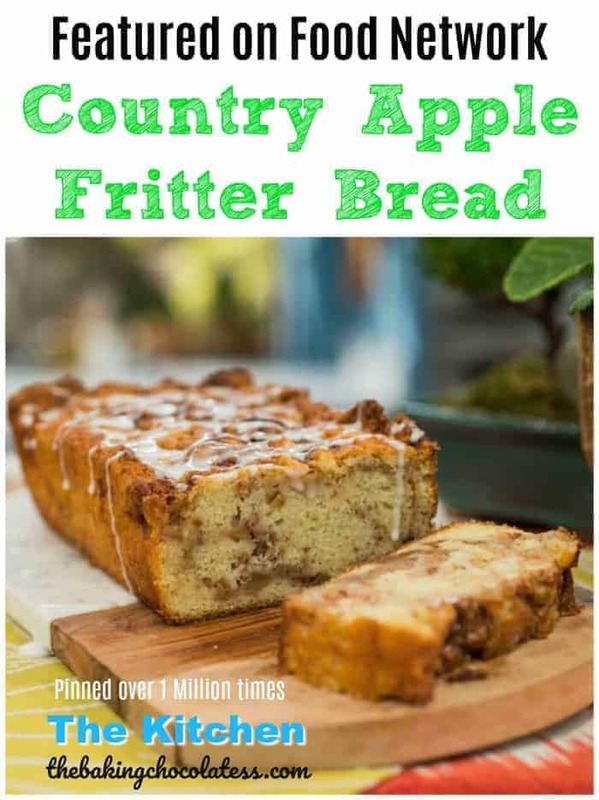 This recipe looks so delicious, I can’t wait to test it out! You can never have too many cookie recipes under your belt, especially if they’re solid go-to’s! I’m always looking for ones loaded with chocolate chips, (the best kind obviously). I don’t think a lot of people realize how much of a difference letting your dough chill and not over mixing help improve your cookies! TOTALLY worth it! 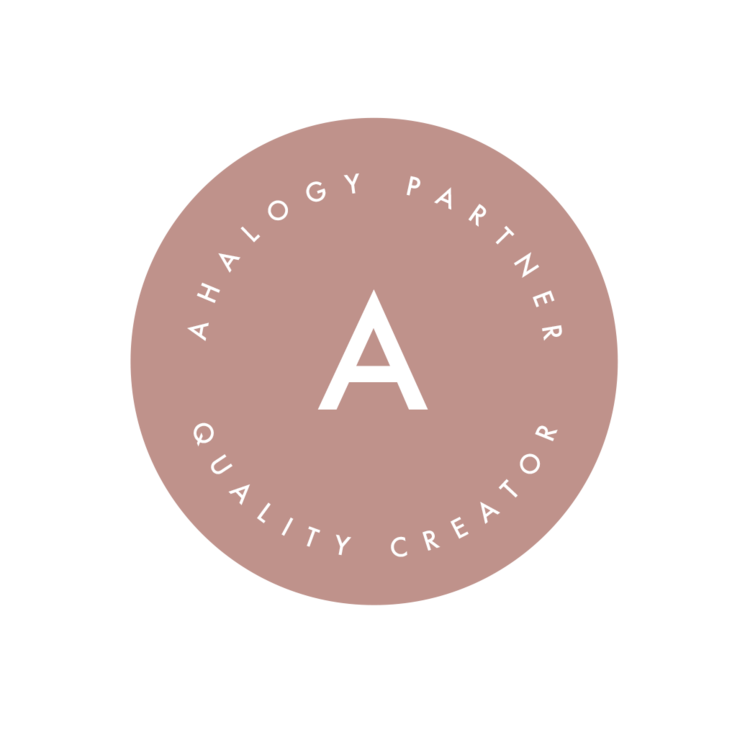 🙂 Thank you for sharing!